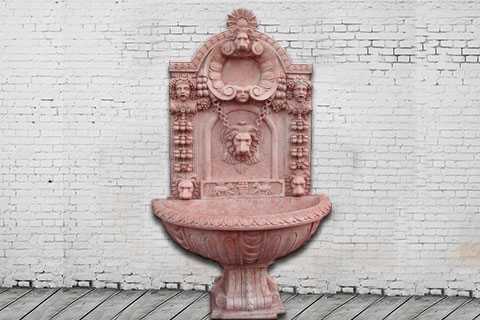 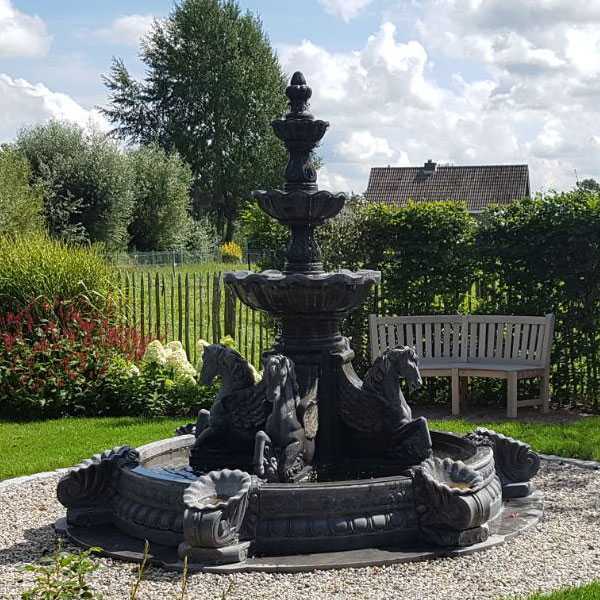 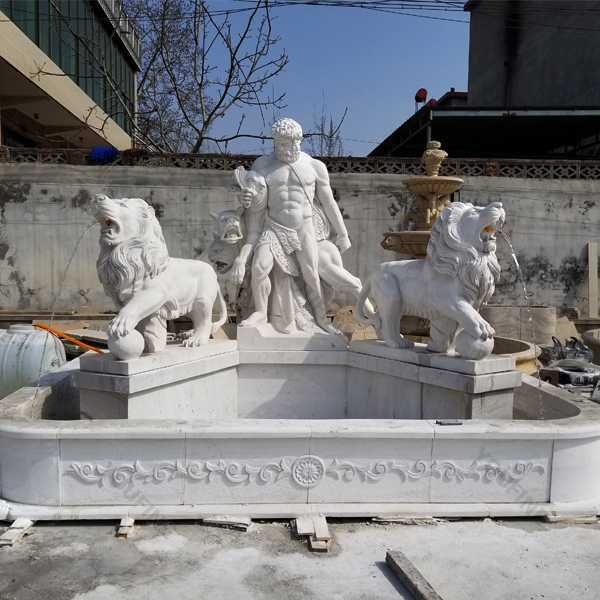 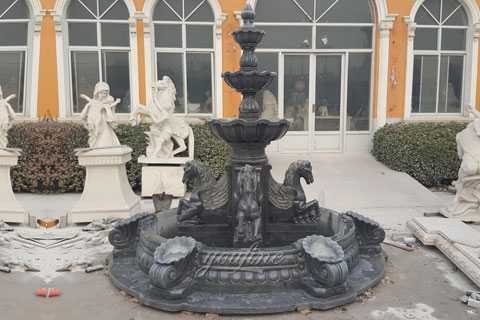 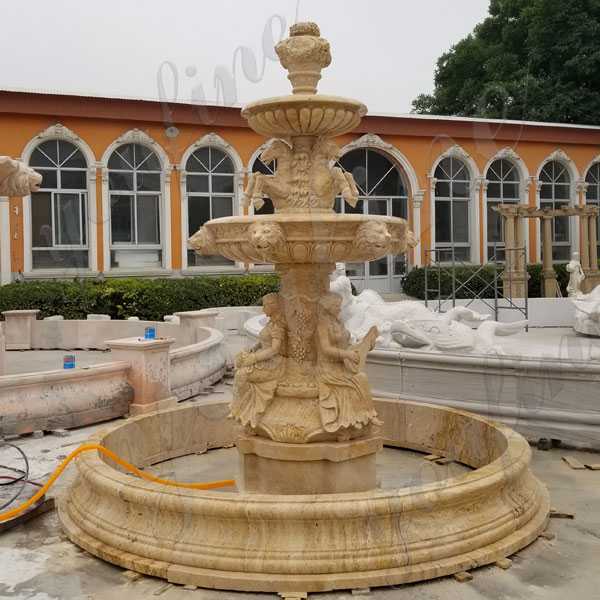 Our showroom and display areas have many beautiful marble fountain,contain large trevi fountain,tiered white marble fountain,large figure fountain,tiered animal fountain… however we cannot guarantee that every product shown on the website is available to view in store. 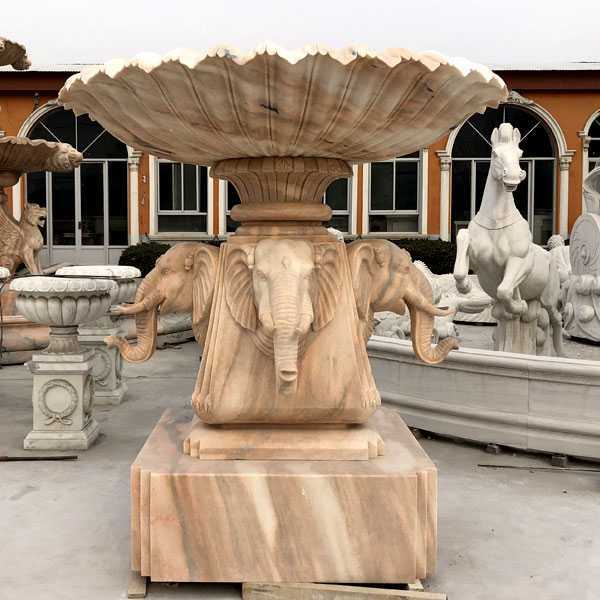 This handsome elephant fountain would be happy in any garden, or cooling himself in your fountain or pond.The nature of our stone gives it a number of advantages for use in garden and architectural applications, such as its propensity to age and patina like natural stone.Outdoor elephant fountain are the perfect pieces to give your outdoor living space a unique look and infuse it with the soft, relaxing sound of flowing water that everyone is sure to enjoy. 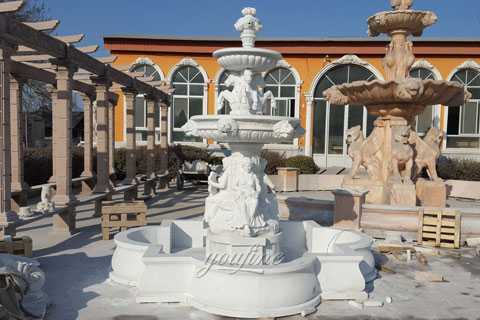 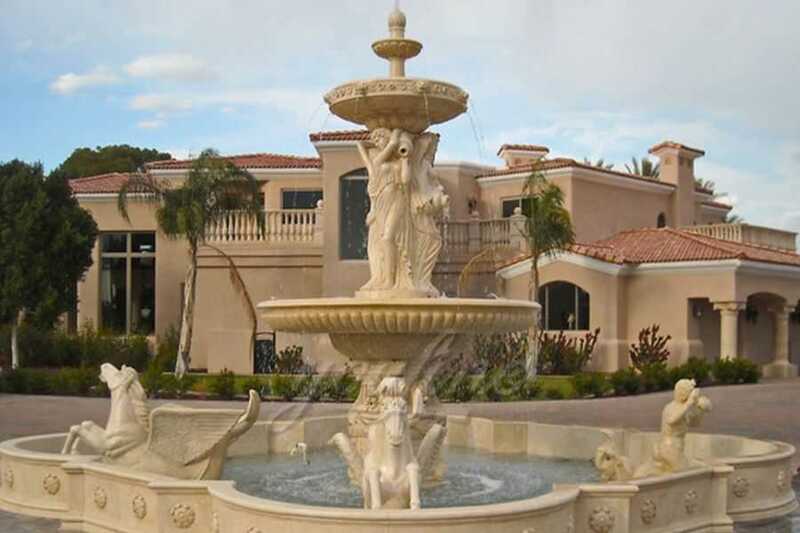 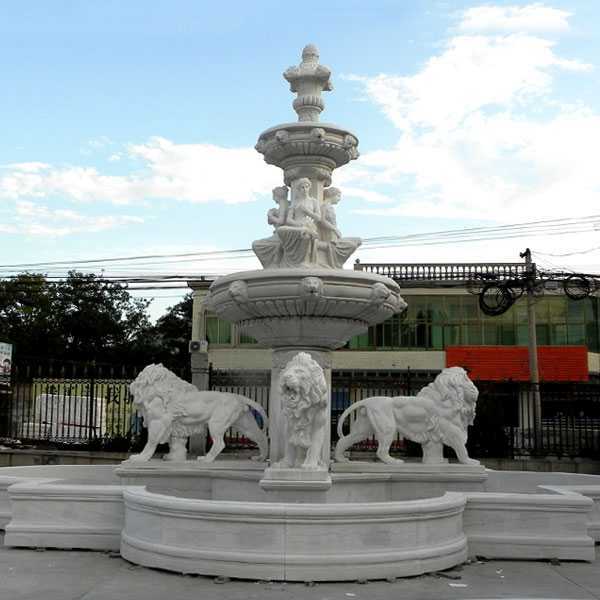 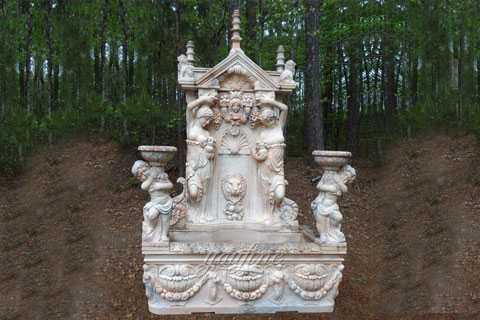 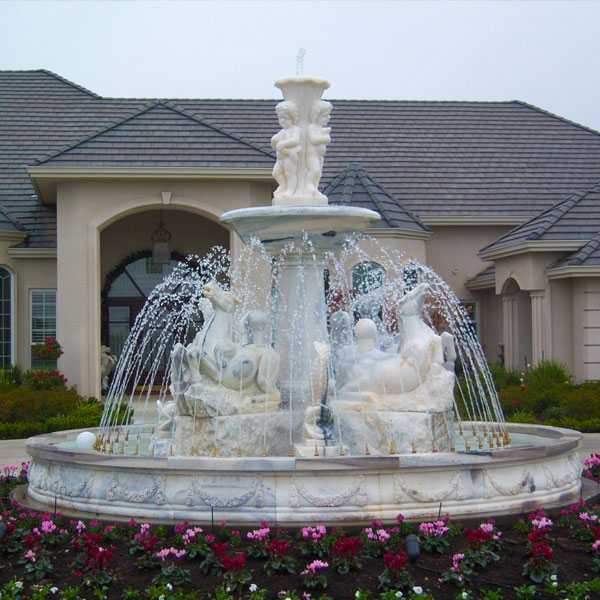 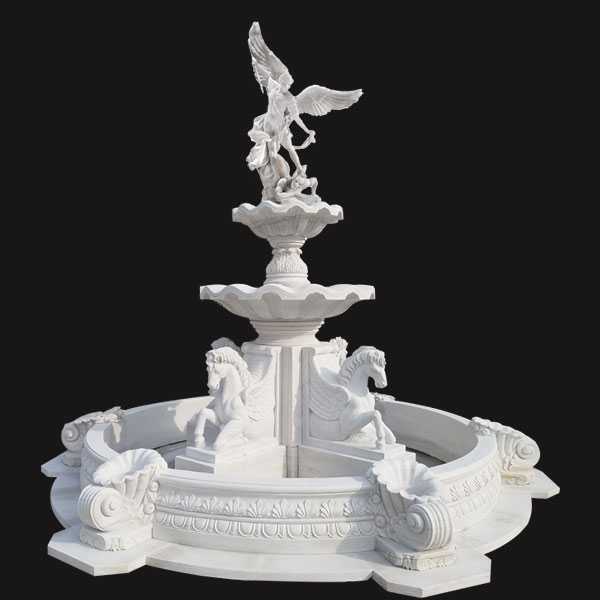 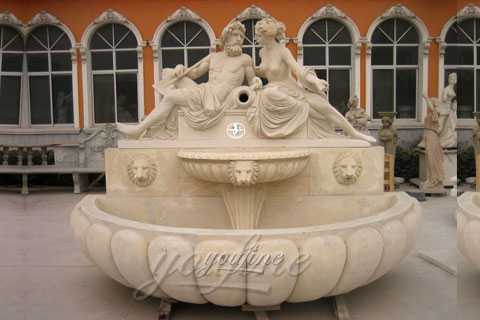 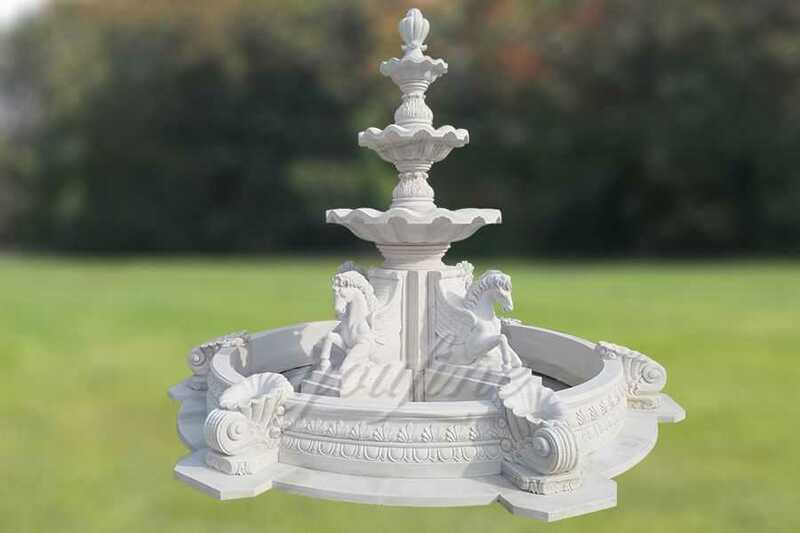 All of our white marble tiered fountains have our 30-years quality guarantee. 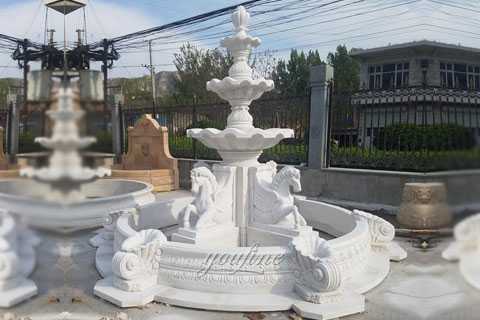 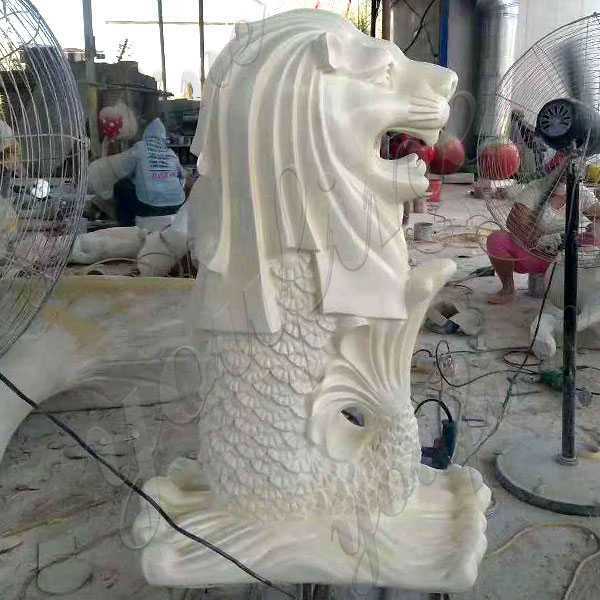 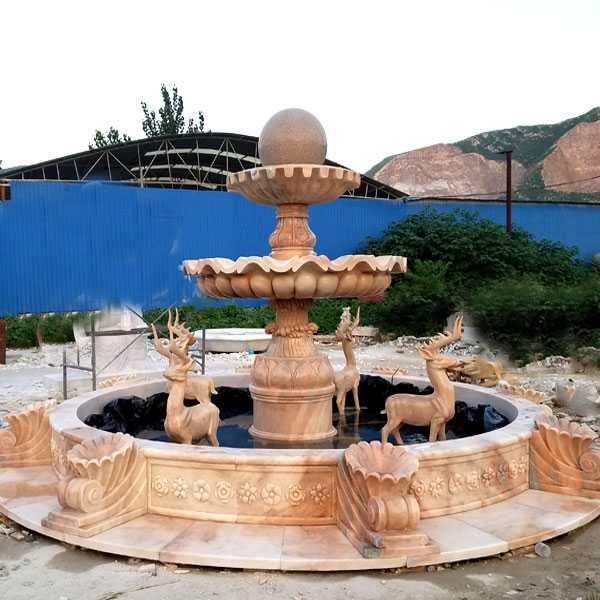 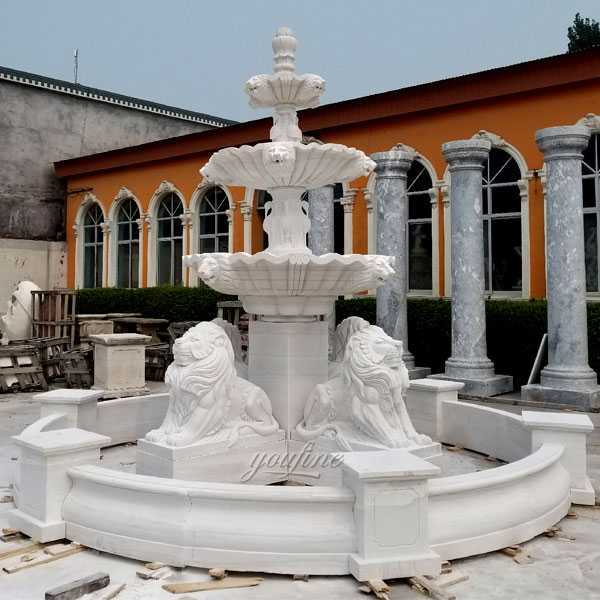 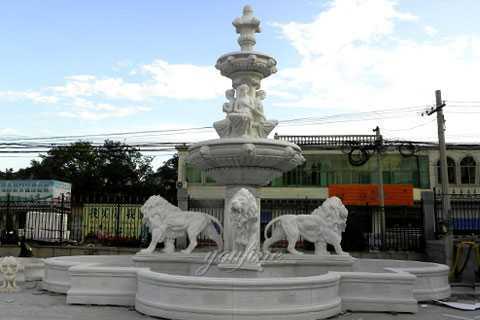 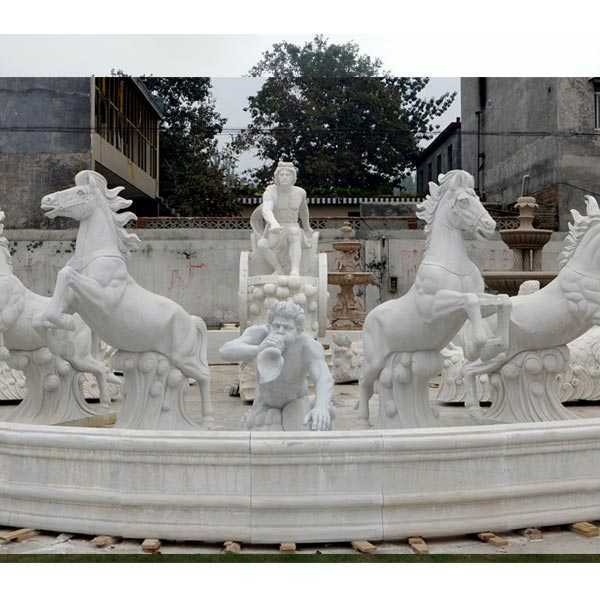 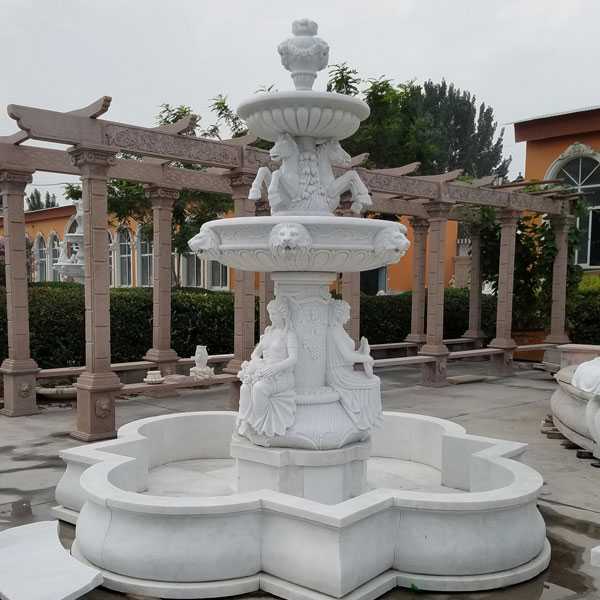 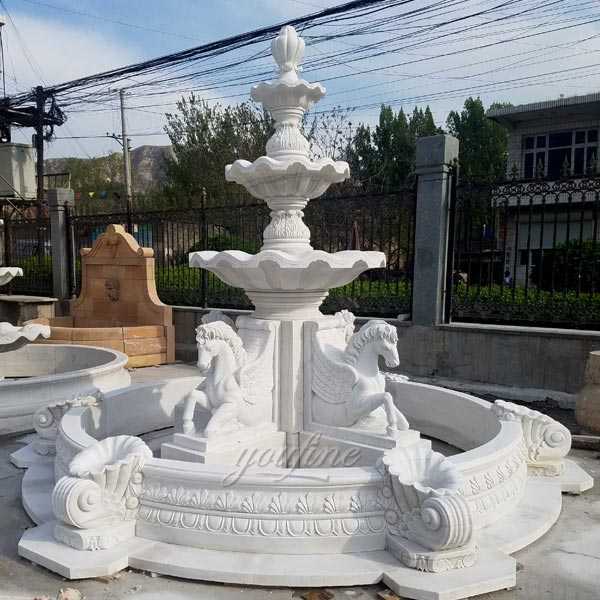 If this white tiered water horse fountains is not your style,don’t worry,we have lots of large outdoor fountain in our factory,welcome you contact or visit our factory at you free time!